PlanetDS.de: Hi! First of all can you tell us a little bit about your position at Capcom? What other projects did you do till now? 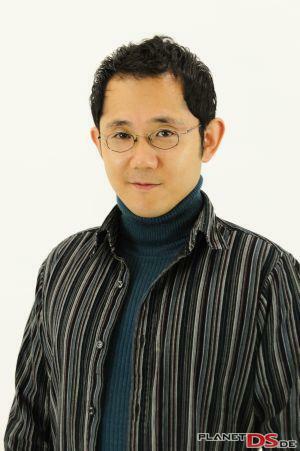 Shu Takumi, Capcom: Hi I’m Shu! I am a ‘Creative Director’ at Capcom. I worked on the first four Ace Attorney titles before starting on Ghost Trick and I have been responsible for scenario writing, game design and directing in all of them. 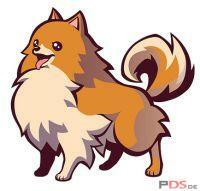 PlanetDS.de: Ghost Trick seems to have a different look and feel compared to traditional Point & Click Adventures. What makes the game so special and what features are you really proud of? Shu Takumi: I feel too little happen in the screen in traditional text heavy, point and click adventure games. Characters in Ghost Trick on the other hand, are all so vibrant and alive, as if you were at a theatre watching a play. I swear none of you have ever seen anything like it before! These characters live their complicated lives in the DS and you will intervene with the power of the dead for a possible different outcome of fate. Isn’t it exciting? PlanetDS.de: The main character Sissel is supposed to prevent murders that already happened from happening via spiritual time travel. And he wants to know why he was killed as well. What inspired you to come up with this interesting concept? Shu Takumi: This game is a result product of logic rather than inspiration. All ideas stem from Ace Attorney but reversely so, meaning I tried things we haven’t yet done in the Ace Attorney franchise. I wanted a long and solid storyline, with one epic revelation of truth towards the end but only after visiting each character’s side stories along the way. For all that to come together, the protagonist just had to be a ghost. PlanetDS.de: How far does the gameplay evolve throughout the levels? Can you give us an example of how complex the tasks can be and illustrate that there are optional solution possibilities? Shu Takumi: I think I would rather if you would play it and find out for yourself! We have kept the action element to a bare minimum for a wider accessibility to this incredible mystery game. However, the theme and the objectives of puzzles change mesmerizingly as you progress and there are various interesting situations to savour and enjoy. Puzzles tend to have one general solution but the ways to get there are quite flexible and variable. This has been received very well in Japan and I hope it is enjoyed in Germany just as much if not more! 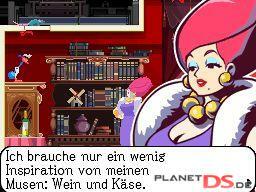 PlanetDS.de: Humor is an important aspect of the game, that is used parallel to a serious setting. Why did you decide to focus on a more grown-up setting? Can you give us an example for a humorous in-game event? Shu Takumi: Simply put, it’s my taste. All characters live their lives only as they can and all have problems of some sort that perhaps have them dismayed at times. Sometimes, in these situations the only thing one could do is to just laugh and make a humour out of it. Of course, this is only true when everyone is so very optimistic in spite of their setbacks but I find characters like Lynne, who dies countless number of times but always finds a piece of humour in her tragedy and just carries on, very agreeable. PlanetDS.de: The Ace Attorney franchise is famous for its numerous insider-jokes and references to other games in the franchise. 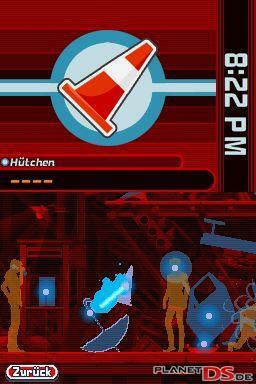 We have already seen Missile in a Ghost Trick trailer. Can we expect more Ace Attorney cameos or shout outs? However, I wouldn’t deny GTPD occasionally having a similar atmosphere to that of the AA franchise. This would be for the fans of AA series that have been kindly waiting for my new game! PlanetDS.de: Sissel seems to be the first ghost in history wearing sunglasses. Is he a trendsetter of the undead or does he just want to be cooler than all ghosts before? Shu Takumi: It would be cool to die if that fashion is ‘in’ for the undead… I designed Sissel making sure he had a degree of mysteriousness and a cool look at the same time. His sunglasses signify his amnesia – no one knows who he really is! The only way to find out is for you to play it through. PlanetDS.de: With the Nintendo 3DS coming out soon, will Ghost Trick be one of your last Nintendo DS games or will you still develop for the current model? Shu Takumi: I can only guess as you would – but perhaps this would be the last…? PlanetDS.de: Have you been able to try out the Nintendo 3DS, yet? Do you think you could improve the tricky gameplay of Ghost Trick with 3D options and will we possibly see Sissel in 3D in the near future? Shu Takumi: I did try out 3DS at E3 and I was flabbergasted to the 3D technology as a long standing fan of the idea since the days of virtual boy. I’d love to see GTPD in 3D but… you know what you have to do for that to come true! The interview was held by Jakob Nützler [Miroque] for PlanetDS.de. Thanks to Shu Takumi and Capcom for their kind support.